Understanding and Servicing Alarm Systems, Third Edition has seen the alarm industry enter the computer age. 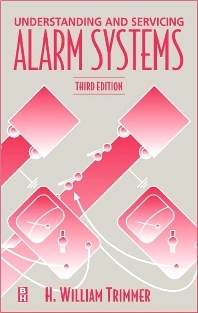 With its coverage of microcomputerized controls, sophisticated detection devices, methods of alarm reporting, that second edition broke new ground. Now completely updated to reflect the security industry's most high-tech advances, the third edition of Understanding and Servicing Alarm Systems, continues on the road of educating the alarm dealer, installer, and technician. "...this book can be used as an on-the-job manual for those engaged in alarm systems installations, projects, and troublshooting. The author covers most situations and technical nuances that alarm service professionals will face."